You’ve read about the new iOS 7 design and some of the new features the next generation mobile operation system from Apple from bring, how many of you are already excited and can’t wait to get your hands on it? The developers will get their hands on the beta version starting today, those lucky people, while the final version is scheduled for Fall this year, probably some time in September. As for the features, hit the break to continue from part 1. 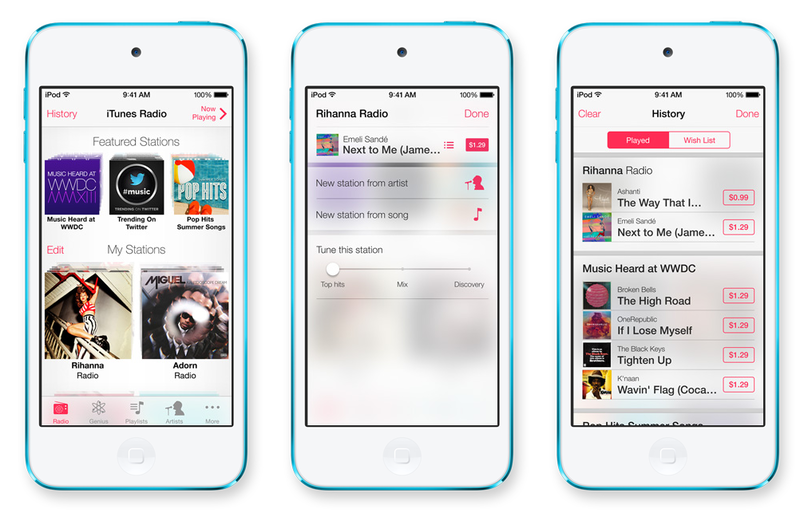 As though all the radio apps you have are not enough, here’s one more called iTunes Radio. iTunes Radio is a brand new feature in iOS 7 which allows you to listen to the music you love wherever you are. Available on iOS 7 as well as Mac, PC and even Apple TV, iTunes Radio can learn the type of music you listen to and cater radio stations that you’ll “love from day one”. The more you use it, the more personalized it becomes. The Featured Stations plays music inspired by you or you can choose different songs to listen to – there are more than 200 genre-based stations. You can also build your own music stations, allowing you to control the balance between playing the hits and discovering less familiar songs. Unfortunately though, iTunes Radio is only available in the U.S. so fingers crossed that Apple will bring it elsewhere, Malaysia included of course, in the near future. 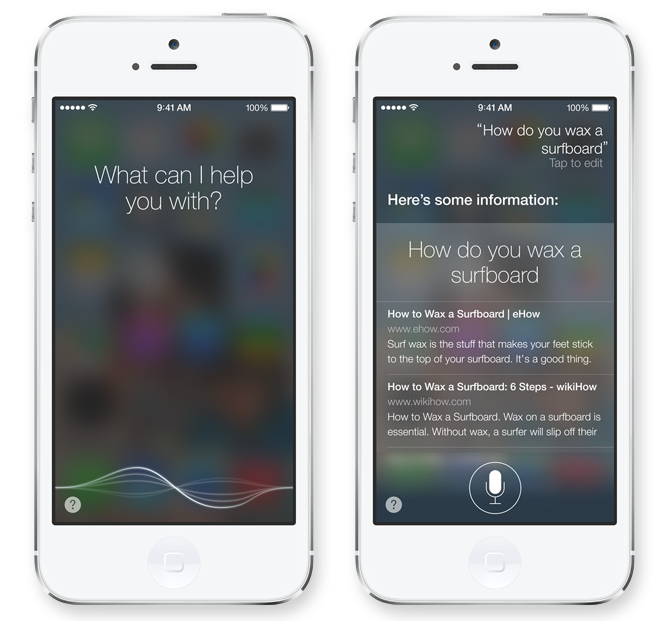 Say hi to a brand new Siri on iOS 7, apart from a new look, Siri also has a new companion, a male voice option. 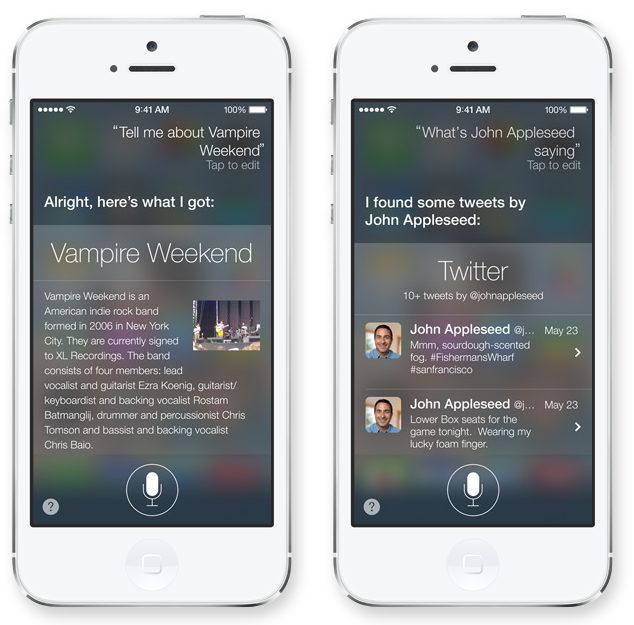 Apple has improved the type of results Siri delivers to you with closer integration with other services such as Bing, Wikpedia and even Twitter. First up, Siri now looks great thanks to a transparent layover. Apple has removed the boring old conversation-based interface with a nice clean one that has a audio wave at the bottom, letting you know that Siri is listening. The results, thanks to the integration with the new services, now look way better than before as well. Instead of pulling open Google search app when you want an answer to something, information will be displayed in Siri itself. On top of a new design and new features, Apple also enhanced its Find my iPhone app, allowing you to better secure your lost device. Turning off Find My iPhone or erasing your device now requires your Apple ID and password, so those who’ve stolen it will not be able to use it no matter what. You can use Find my iPhone app to remote lock your device, and even make it display a custom message that stays even when you’ve wiped it out remotely. 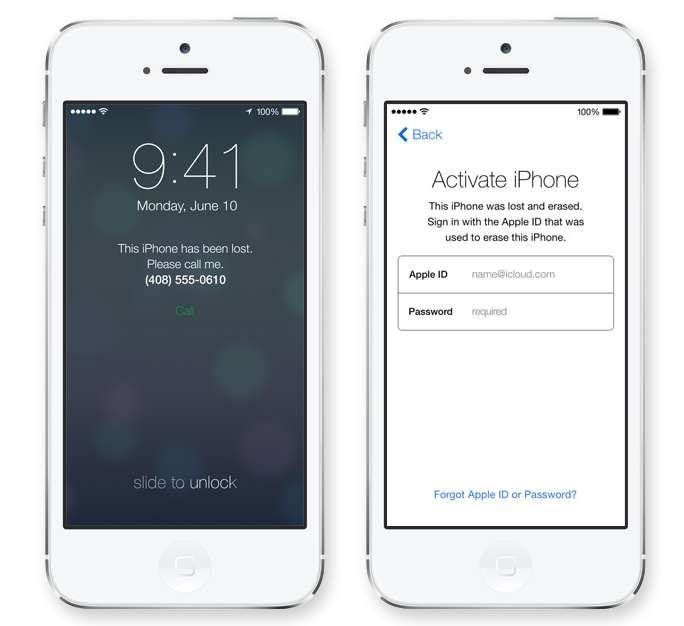 Apple ID and password are required before anyone can reactivate it. Apple redesigned its operating system, several apps within the operating system, you didn’t think that it will miss out on the App Store did you? It looks like Apple has brought the “flat” design concept to its App Store as well and on top of that, it has a new Apps Near Me feature as well. Apps Near me shows you a collection of popular apps relevant to your current locations. 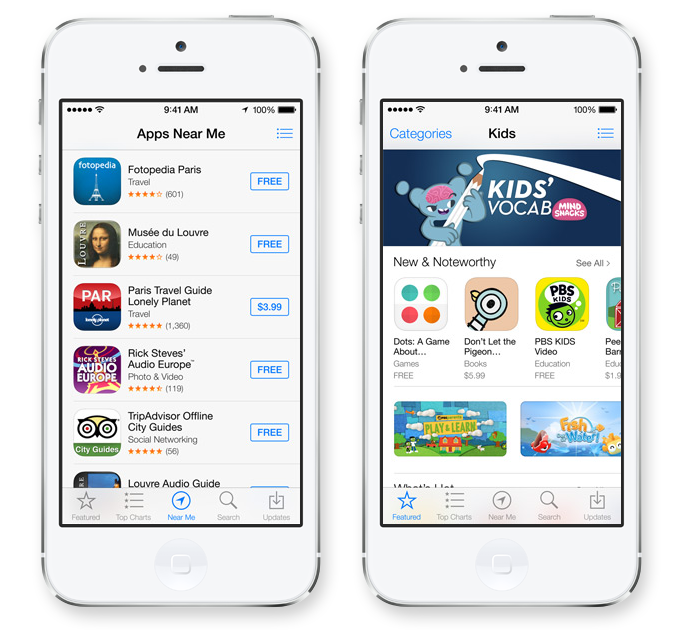 There is also a new Kids category that caters to showing you apps for children based on age. Finally, App Store also automatically keeps your apps up to date so you won’t have to log in one day after your 1 week break and see over 10 apps waiting for you to update. 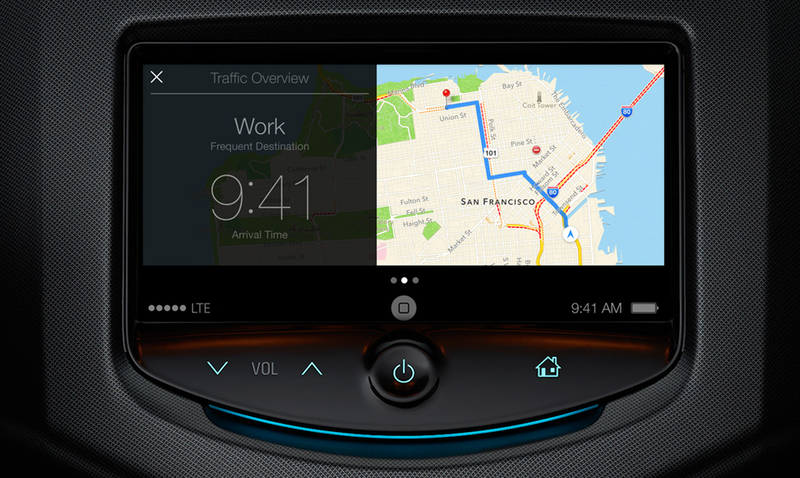 Details about iOS in the Car is scarce at the moment, it’s scheduled for a release next year and it’s supposed to work seamlessly with your iPhone using none other than Siri. iOS in the Car will do all your mobile-related tasks for you such as reading text messages, navigation, connecting to iRadio for on board entertainment, and handling calls, while you can concentrate on driving.